Ran D. Anbar, MD, FAAP, is board certified in both pediatric pulmonology and general pediatrics, offering hypnosis and counseling services at Center Point Medicine in La Jolla, California, and Syracuse, New York. Dr. Anbar is also a fellow and approved consultant of the American Society of Clinical Hypnosis. Dr. Anbar is a leader in clinical hypnosis, and his 20 years of experience have allowed him to successfully treat over 5,000 children. He also served as a professor of pediatrics and medicine and the director of pediatric pulmonology at SUNY Upstate Medical University in Syracuse, New York, for 21 years. Dr. Anbar also worked as a guest editor and advisory editor for the American Journal of Clinical Hypnosis. His experience has offered him the opportunity to direct and co-direct more than 20 clinic workshops on the subject of pediatric hypnosis. Additionally, he has trained more than a thousand healthcare providers and lectured all over the world. 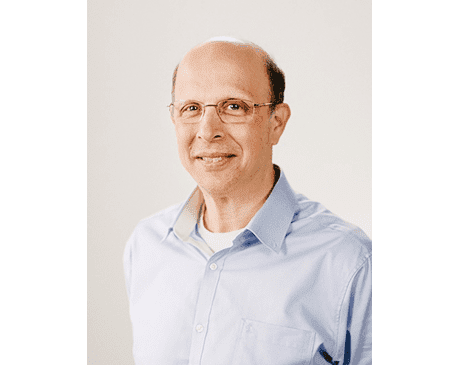 In addition to his teaching and lecturing experiences, Dr. Anbar has been the principal investigator in 10 published case studies of pediatric hypnosis and involved in research trials of children with cystic fibrosis and other pulmonary disorders. He is a published author of more than 50 articles, abstracts, and book chapters on pediatric functional disorders and pediatric hypnosis. Graduating from the University of California-San Diego with undergraduate degrees in biology and psychology, Dr. Anbar earned his medical degree from the University of Chicago Pritzker School of Medicine. He completed his pediatric residency and pediatric pulmonary fellowship training at the Massachusetts General Hospital and Harvard Medical School in Boston. Dr. Anbar received training in hypnosis from the Society of Developmental and Behavioral Pediatrics and the American Society of Clinical Hypnosis. At Center Point Medicine, we care about every patient. Please call our office if you have any questions about your payment plan, or the insurances we accept!